The port of Durban is one of the few natural harbors between Port Elizabeth and Maputo, and located at the beginning of a particular weather phenomenon, which can cause extremely violent seas. This made Durban a busy port of call for ship repairs when the port first opened in the 1840’s. Now the busiest port in South Africa, it is also the busiest container port in the Southern Hemisphere with 1.8 millions containers a year. The port of Durban benefitted from the industrial and mining trade from Johannesburg, which is not located on any navigable body of water. The port of Maputo was unavailable until the early 1990’s due to civil war and the Port of Durban picked up and ran with the trade business. Now there is an intense rivalry between Durban and Maputo for the shipping business. There is no written history of the area before Portuguese explorer Vasco da Gama came to the KwaZulu-Natal coast while searching for a route from Europe to India. He landed on the coast on Christmas in 1497, and thus the name “Natal”, or Christmas in Portuguese. 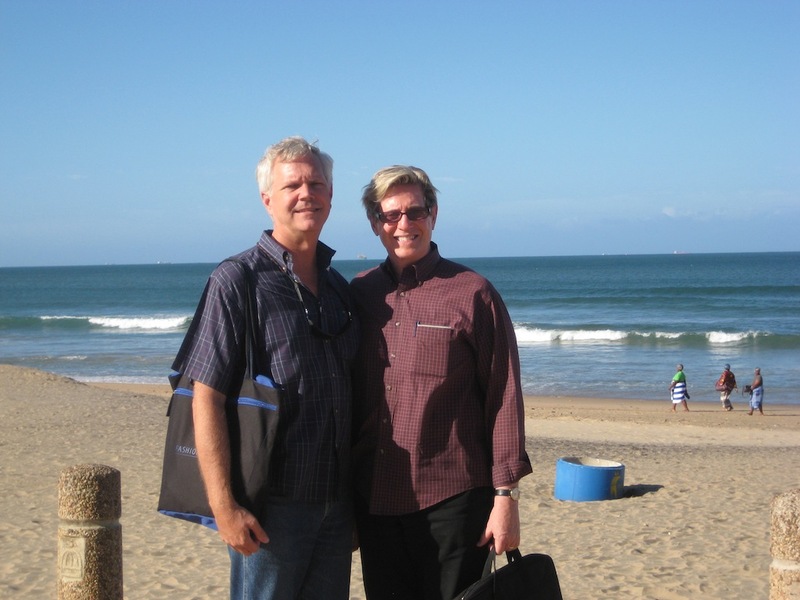 Durban is famous as a major tourism center due to its warm climate and beautiful beaches. The proliferation of tourism in the area has attracted craftsmen from all over South Africa. Painting, pottery, woodworking and wire sculpture are all popular items found here. The population of Durban is approximately 3.5 million with 68% being Zulu’s, 9% white, 20% Indian and 3% other. Our tour today was the highlights of Durban where we took a driving tour around the city of Durban. 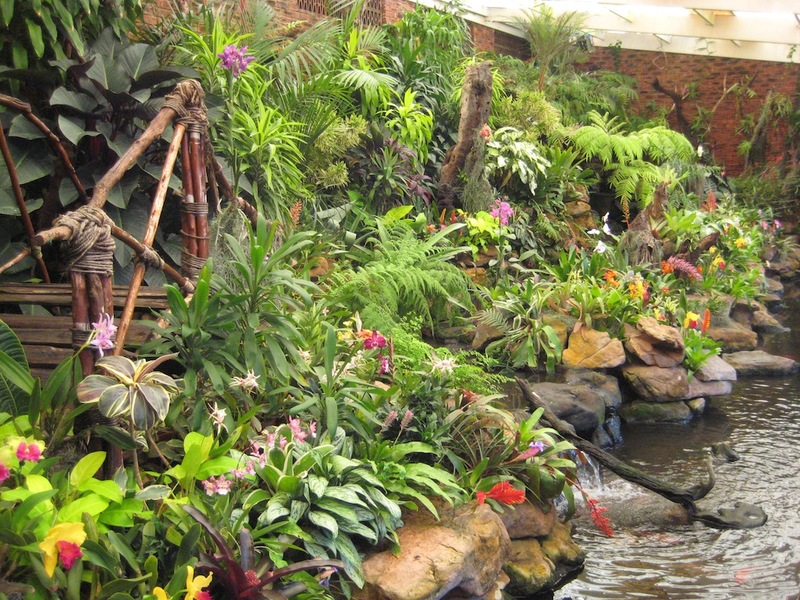 We visited the Durban Botanical Garden with its gorgeous, well-maintained lake and grounds. We saw many birds roosting in the trees around the lake, an orchid house, cycad gardens, amphitheater, sunken garden, the canon ball tree and so many more local plants and animals. We passed through beautiful wealthy-looking neighborhoods, with panoramic views out over the bay and homeless-looking people in the streets. The city appeared to be very diverse and very western-looking as well. The architecture was mostly traditional with stucco houses, deco style buildings from the early 20th century as well as modern skyscrapers. We stopped at the Moses Mabhida Stadium built for the 2010 soccer world cup with its huge arch like a rainbow over the building. The arch is also a tourist attraction with its funicular, which takes you to the top of the arch to enjoy the view or you can also choose to bungee jump off of the arch. 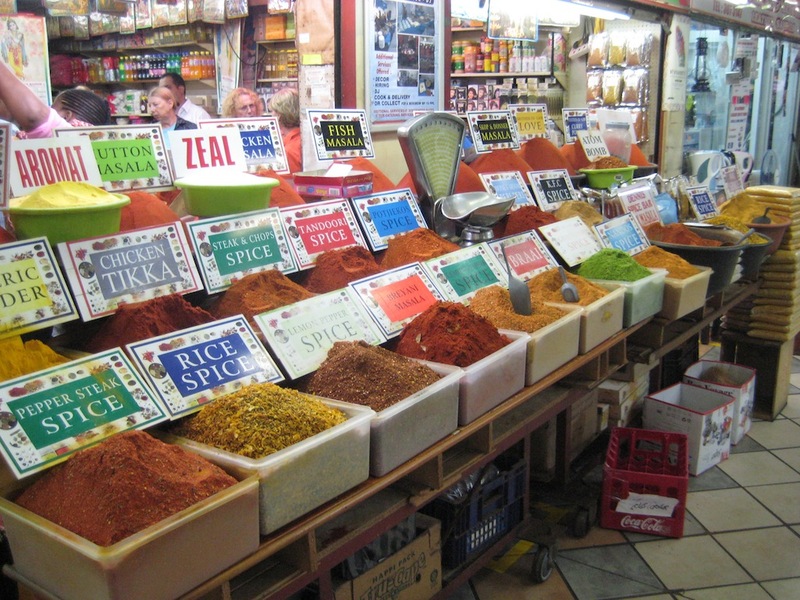 We visited Victoria Street Market, commonly known as the Indian Market where you could purchase local handicrafts; zebra skin rugs, spices, clothing and more. Many of our fellow passengers thought the prices were good and were buying up most everything including the zebra skin rugs. We also toured the beach-front area. After returning to the ship for a bite to eat, with Jenn we took the ship’s shuttle to the Golden Mile and UShaka World. The Golden Mile is a stretch of beach that is much longer than a mile but has white sandy beaches for swimming and surfing. There is a wide pedestrian path along the beach front with planters where you can find tons more souvenir stands, restaurants and hotels. The locals were holding a several day long beach surf safety event for young people. They were busy with races along the sandy beach and many in the water surfing and swimming. Also at the beach was an amusement park called UShaka that looked to be similar to a Sea World in the states. They had rides, restaurants, a water park and a shopping mall, all of which were filled with locals and tourists alike. We wandered there for a while including a visit to an Internet café where we used the Internet for the equivalent of about fifty cents an hour. Back onboard we had a South African Braai or barbecue poolside where we were able to sample such local foods as zebra, ostrich and beef jerky. The meats were not that different in taste from our beef but they were a bit on the dry side and a bit tough. Because we did not sail until 11:00pm and many folks may have been out in town they showed the movie Out of Africa as the night’s entertainment. When we are in a port city with a free evening, some folks venture into town to try a local restaurant for dinner. Most we know prefer to eat on the ship and avoid any possible stomach problem from the local food. Maybe we will try a local restaurant in Cape Town.